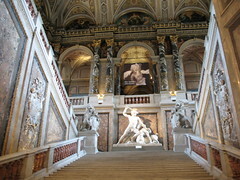 The Museum of Fine Arts (Kunsthistorisches Museum) houses some of the world's most famous paintings and art exhibits. Built to house collections gathered by the Habsburgs, it opened in 1891 along with its sister building that now houses the Natural History Museum. Both buildings were built as a mirror of each other, and are separated by a manicured park, "Maria-Theresien-Platz". 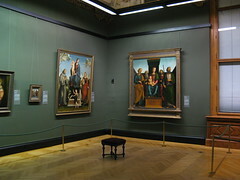 Michelangelo's "Madonna of the Rosary", "The Crowning with Thorns" and "David with the Head of Goliath"
Jan van Eyck's "Cardinal Niccolo Albergati"
Other master works by Rubens, Rembrandt and Titian. In addition to these paintings, visitors can also view the Egyptian, Greek and Roman Antiquities, a collection of ancient musical instruments, the Arms and Armour exhibit and the Ephesus Museum. 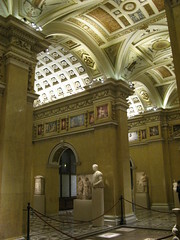 The Fine Arts Museum also has special exhibits from time to time from other museums around the world. 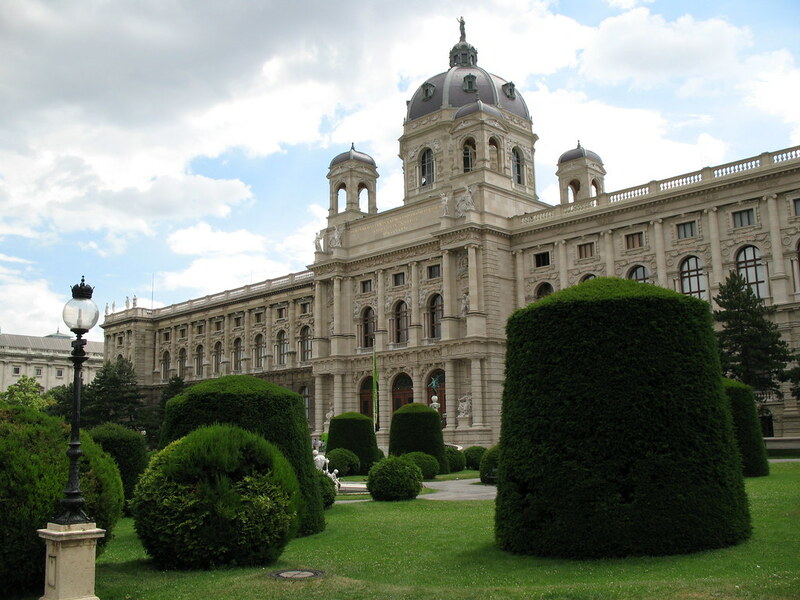 It is located near the Hofburg Imperial Palace, directly next to Vienna's famous Ringstrasse. This central location makes it very easy to reach by public transport or even on foot from most locations in central Vienna. 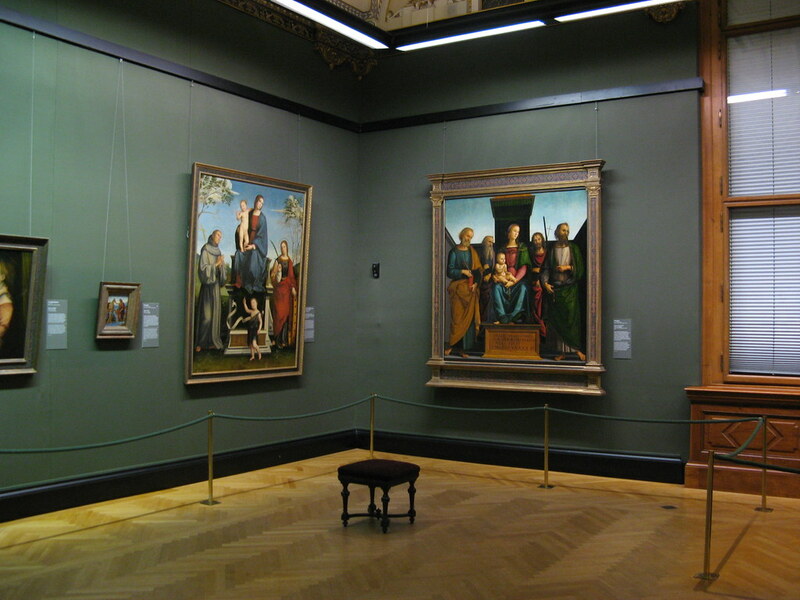 Each of the exhibits have their own opening hours, so it is best to check directly with the museum to ensure that the exhibit you wish to see is open at your indented visiting time before arriving. 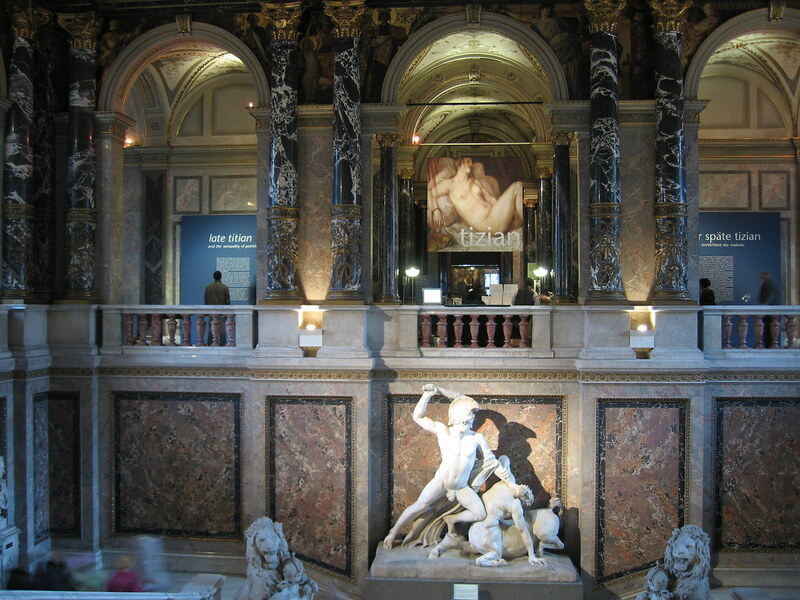 Be the first to write a review about the Kunsthistorisches Museum (Museum of Fine Arts)! See below for more information. 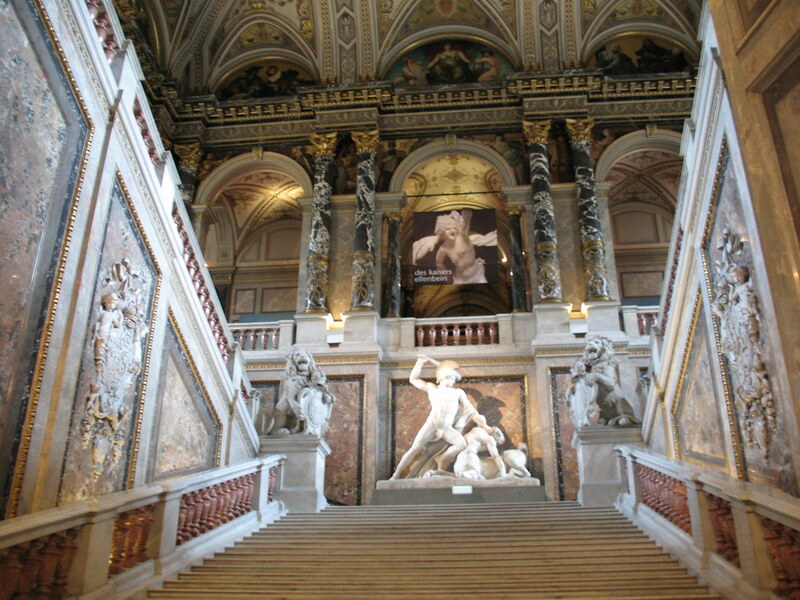 Have you already visited the Kunsthistorisches Museum (Museum of Fine Arts)? If so, let everyone know what you thought about it by writing a review! No registration necessary. Just click here to start writing! 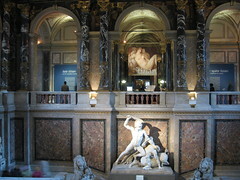 View all Kunsthistorisches Museum (Museum of Fine Arts) Pictures.